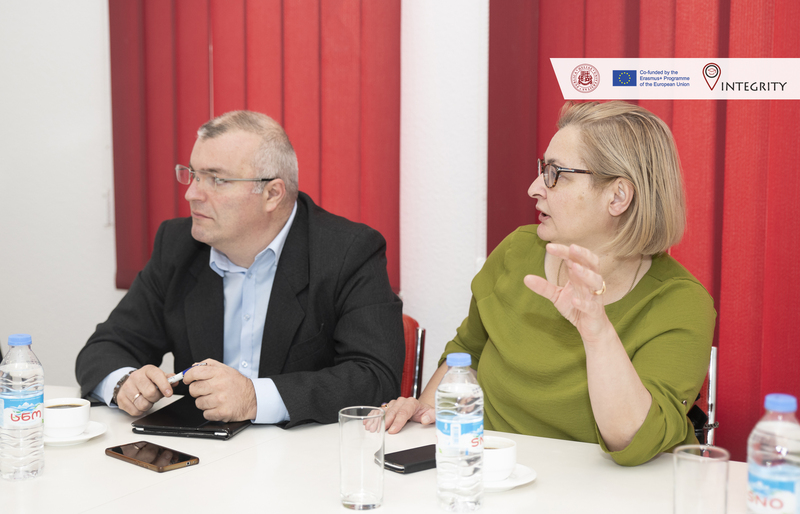 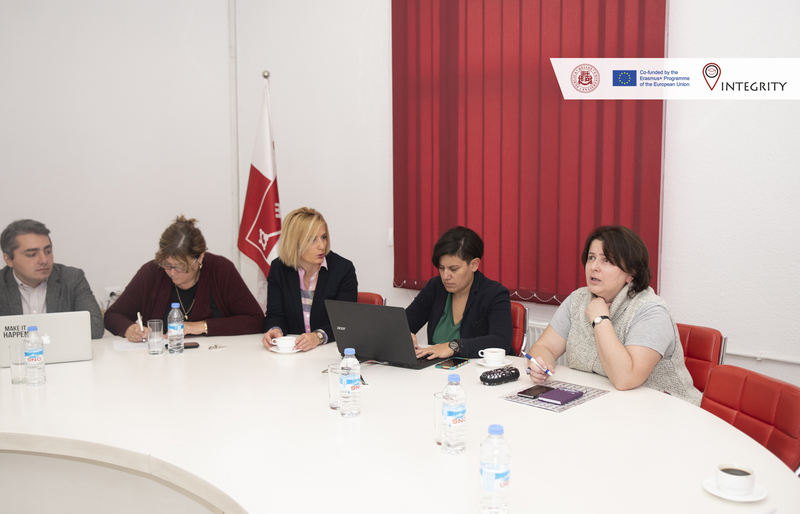 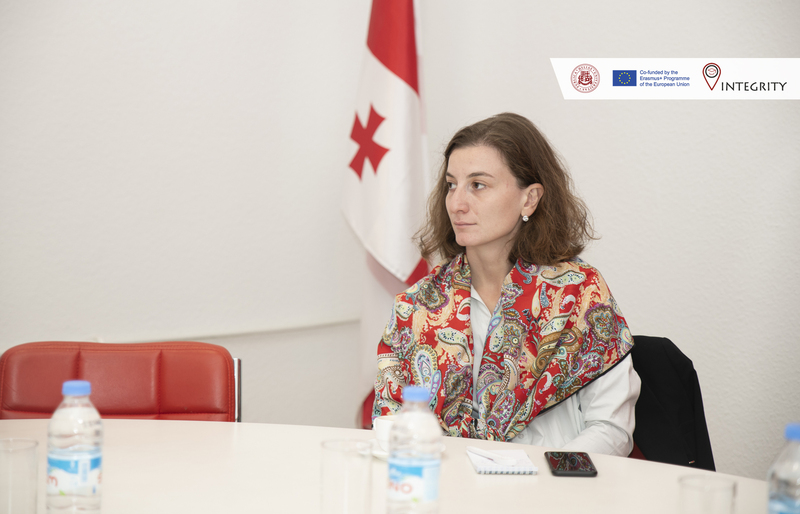 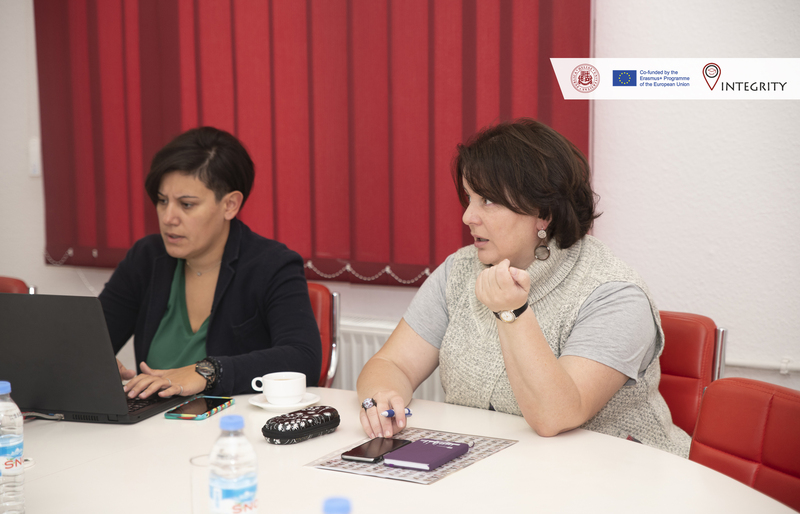 On October 16, 2018 representatives of Erasmus + National Office visited ISU as a coordinating institution of the project Academic Integrity for Quality Teaching and Learning in Higher Education Institutions in Georgia (INTEGRITY) to monitor the project activities and deliverables for of the Year 1. 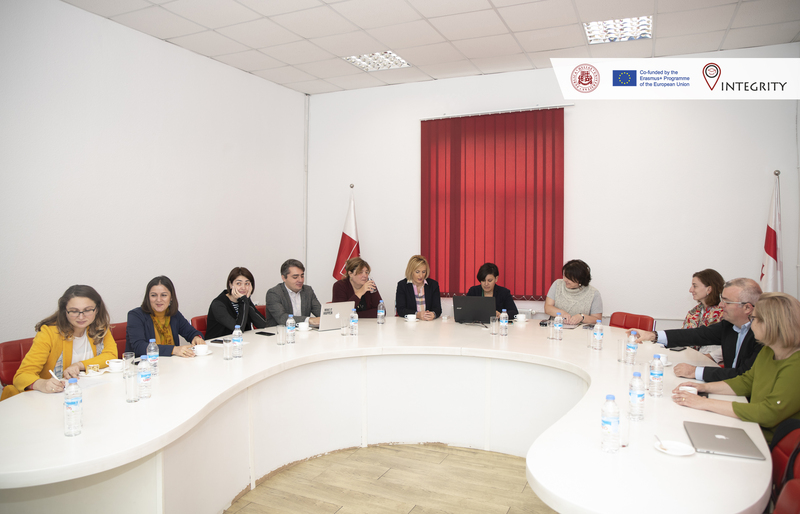 Several representatives of the project national partner HEIs were present during the meeting and highlighted project institutional as well as general achievements. 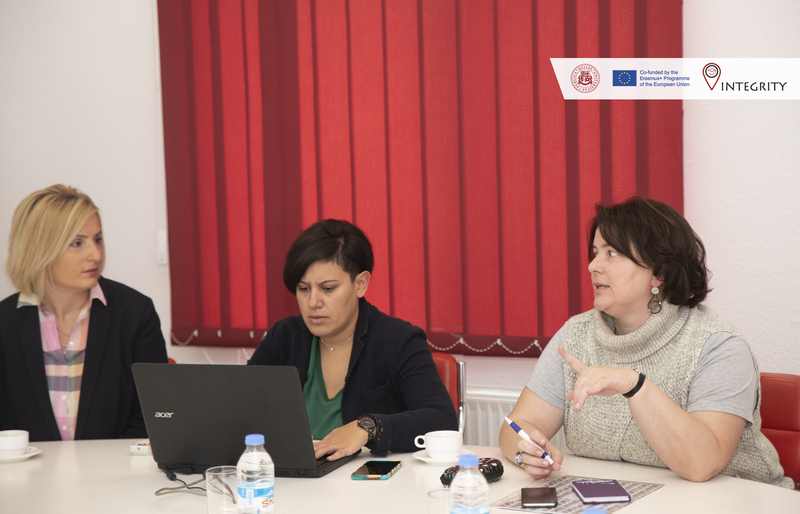 The reasons or requesting project extension from EACEA have been justified and further recommendations to raise the project efficiency were provided by the representatives of Erasmus + National Office. 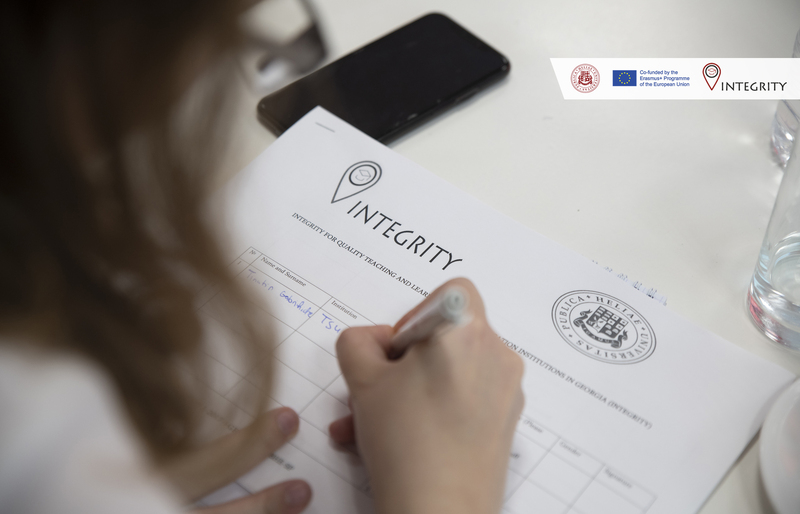 The core objective of the project Academic Integrity for Quality Teaching and Learning in Higher Education Institutions in Georgia (INTEGRITY) is to enhance the quality of teaching and learning processes that are based on the principles of academic integrity and supported by policies, mechanisms and tools that help prevent and detect cases of plagiarism in higher education institutions in Georgia. 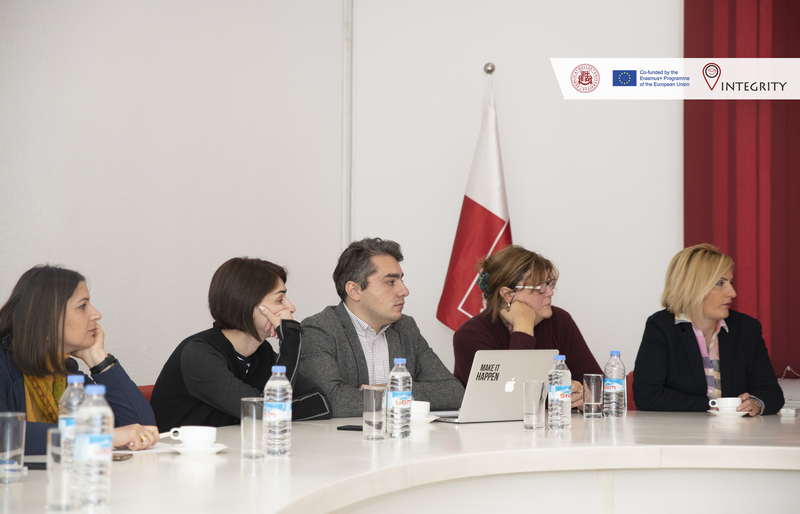 Plagiarism Prevention & Detection Electronic Program Introduction in Georgian HEIs: to introduce plagiarism detection and prevention electronic program in Georgian universities, and integration into the existing Moddle system. 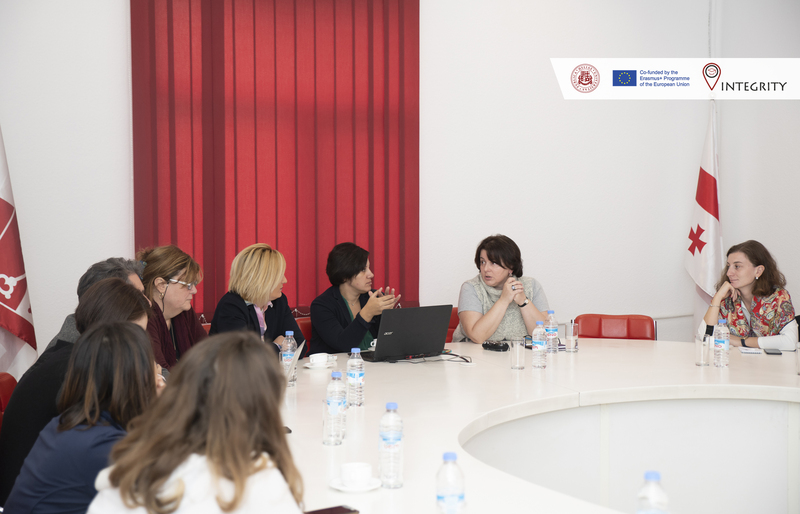 University Policies and Resources - The project aims at helping higher education institutions shape their consistent framework of policies and regulations that are conducive to quality teaching and learning processes based on the principles of academic integrity. 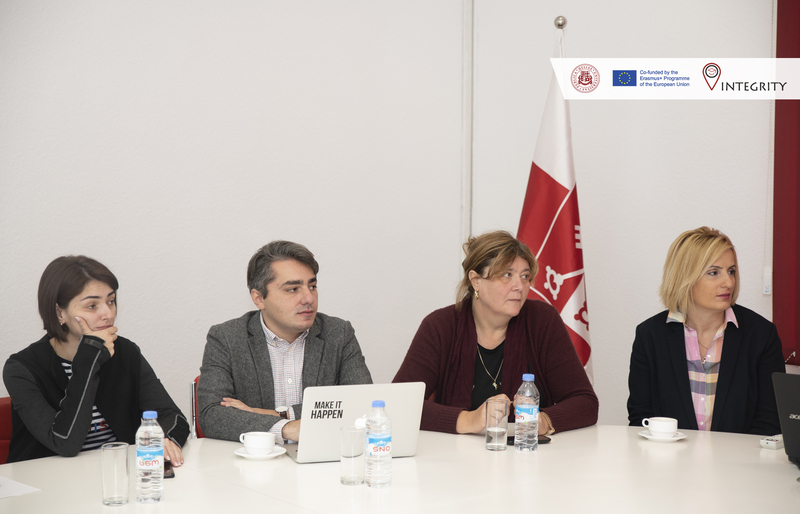 Importantly, it allows universities to develop their resources (e.g. 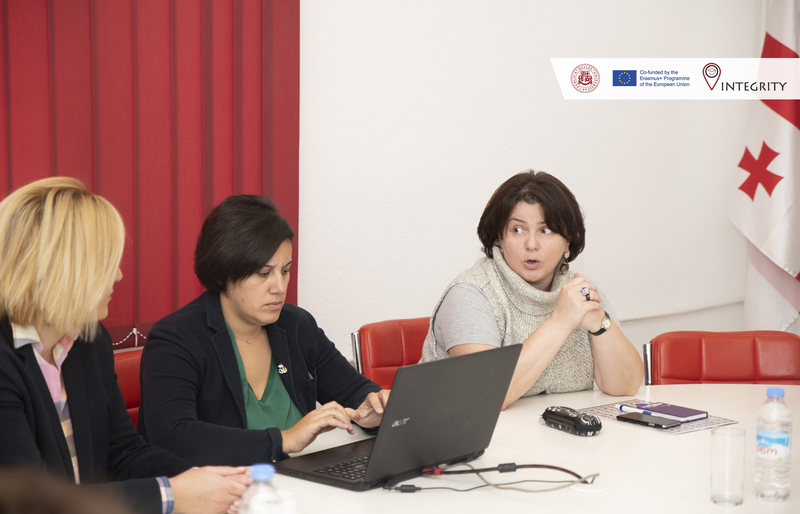 guides) and introduce advanced tools (electronic programmes) to support effective academic instruction.